A previously healthy 11-year-old female presents to the emergency department with three days of oral mucosal bleeding. One week prior to presentation, the patient developed a fever associated with generalized body aches, headache, anorexia, and malaise. The fever lasted for three days and then resolved. Since then has had daily bleeding from her gums as well as one episode of epistaxis. She reports continued fatigue. She denies abdominal pain, nausea, vomiting, or diarrhea. She denies hematuria, bloody or dark stools. There is no family history of bleeding disorders or blood dyscrasias. There is no history of trauma. On arrival, the patient is noted to be afebrile, with a heart rate of 77, respirations 20, blood pressure 117/69, and oxygen saturation of 99% on room air. On physical examination, the patient is alert and oriented to person, place and time. She appears fatigued but non-toxic. She is noted to have diffuse, oozing venous hemorrhage of her gums. The posterior oropharynx is clear and there are no palatal petechiae. The neck is supple and non-tender without lymphadenopathy. The lungs are clear to auscultation bilaterally and respirations are even and unlabored. The cardiac exam is regular rate and rhythm with no murmur, rub or gallop. The abdomen is soft, non-tender and non-distended with normoactive bowel sounds and no organomegaly. The extremities are warm and well-perfused with no edema or cyanosis. A faint macular rash is noted on the arms and legs. She has no focal neurological deficits. A tourniquet test is performed at the bedside and is positive for >10 petechiae per square inch. A CBC demonstrates a white blood cell count of 7.0, hemoglobin of 14.1, and thrombocytopenia with a platelet count of 39. LFTs are notable for an elevation of AST of 107. The BMP and coagulation profile are within normal limits. A rapid Dengue test returns positive for NS1 antigen, Dengue IgM and Dengue IgG. 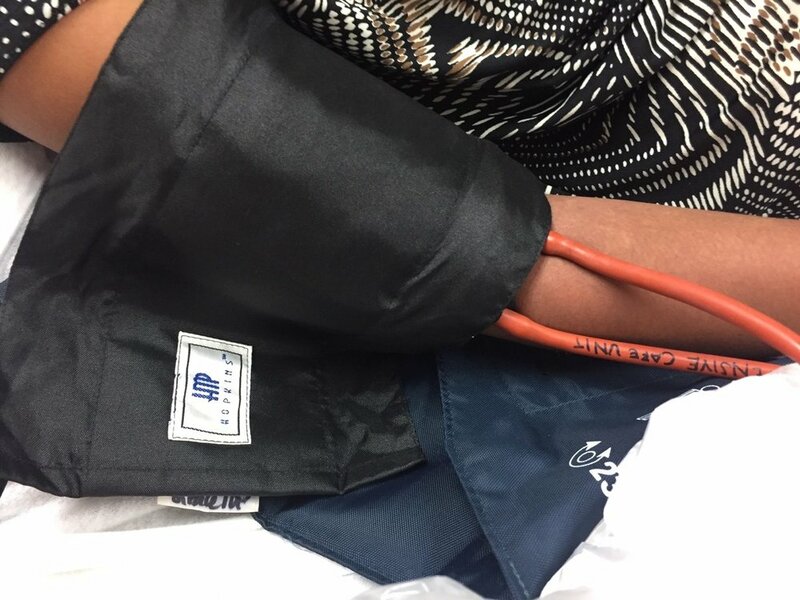 Image 2: A tourniquet test is a marker of capillary fragility and is performed by inflating a blood pressure cuff midway between the patient’s systolic and diastolic blood pressures and leaving it inflated for 5 minutes. The cuff is released and after two minutes the number of petechiae below the antecubital fossa are counted. The test is considered positive if there are more than 10 petechiae present within a square inch on the patient’s arm. The WHO criteria considers a positive test as one of the diagnostic criteria for the presumptive diagnosis of Dengue. It is important to note that while this test may be clinically helpful in specific situations, systemic reviews have found the tourniquet test to be neither sensitive nor specific for Dengue virus infection. The patient is diagnosed with dengue virus infection with warning signs and is started on IV hydration with normal saline at a rate of 5cc/kg/hr. Two peripheral IVs are placed, and the patient is cross-matched for 2u pRBCs in anticipation of further hemorrhage or clinical decline. She remains stable during the course of her ED stay. She is evaluated by pediatrics and admitted to the ICU for hemodynamic monitoring, IV fluids and serial blood counts. Dengue is a febrile illness caused by a viral infection transmitted to humans through mosquitos. The incidence of Dengue has grown dramatically around the world in recent decades with an estimated 390 million Dengue infections per year, and the disease is now endemic in more than 100 countries in tropical and subtropical regions. Dengue virus infection should be on the differential diagnosis for all patients who present with fever and a history of recent travel to an endemic area. Dengue virus infection can be asymptomatic, or it can present with a broad range of clinical findings from a mild febrile illness to life-threatening dengue shock syndrome (DSS). Thus, the emergency provider must be aware of the diagnostic criteria and warning signs that distinguish the mild cases from those who are at risk of rapid and potentially fatal clinical deterioration. There are four distinct serotypes of the virus; thus patients who have been previously exposed to one serotype are still vulnerable to infection by another serotype. To complicate matters further, Dengue virus often coexists with several other mosquito-borne viruses including Zika and Chikungunya, which often have overlapping clinical features. While serologic testing through viral PCR and antigen detection yields a more definitive diagnosis, physicians in endemic areas must often rely upon the history and physical exam findings when evaluating the febrile patient with possible Dengue. Image 3: a close-up view of the patient’s antecubital fossa. There are clearly greater than 10 petichiae within a square inch on this patient’s arm, thus making a “positive” tourniquet test. Dengue virus infection presents in three distinct clinical phases: the febrile, critical and recovery or convalescent phase. The febrile phase lasts for three to seven days and is characterized by high-grade fever and the clinical features noted above. The critical phase occurs around the time of defervescence (days 3-7 of illness) and lasts for 24-48 hours. It is during this phase that a small proportion of patients will progress to develop a systemic capillary leak syndrome that can lead to hemorrhage, shock, end-organ failure and death. The convalescent or recovery phase lasts two to four days and is characterized by resolution of plasma leakage and hemorrhage, normalization of vitals and resorption of accumulated fluids. Patients may experience significant and debilitating fatigue that can last for weeks after their initial infection. Patients without warning signs or comorbidities (extremes of age, pregnancy, immunocompromise, poor social situation) can be discharged home with careful return precautions and close outpatient follow up. Dengue patients should not be prescribed NSAIDs for fever or pain given their risk of bleeding. Patients with warning signs should be considered at risk for impending shock and admitted for hemodynamic monitoring and serial blood counts. Care must be given to not fluid overload these patients as they are at high risk of third-spacing. If they can tolerate PO fluids and are not significantly volume depleted, patients do not need IV hydration. If IV fluids are administered, isotonic crystalloid should be administered in a stepwise fashion starting at 5-7cc/kg/hr and gradually titrated down based upon clinical reassessment and serial hematocrits. If the hematocrit rapidly rises or the patient’s vital signs worsen, this signals worsening systemic capillary leak and the rate of IVF should be increased to 5-10 cc/kg/hr followed by serial monitoring of the hematocrit and vitals. Patients with severe dengue should be admitted to an ICU setting for ongoing resuscitation. If a patient is in hypotensive shock, they should immediately be given a 20cc/kg bolus of isotonic crystalloid. The provider must then determine whether the shock is being driven primarily by systemic capillary leak, hemorrhage, or both. If hemodynamics fail to improve with isotonic crystalloid administration and the hematocrit is rising, this suggests systemic capillary leak and the patient should receive a 10-20/cc/kg bolus of colloid in order to increase the intravascular oncotic pressure to counteract this leak. If the hematocrit is falling, this suggest hemorrhage is driving the shock and the patient should be given 5-10cc/kg of packed RBCs or 10-20cc/kg of whole blood. In some cases, patients may require both blood and colloid administration, and even vasopressors if they develop refractory shock. Currently, there is no effective vaccine for Dengue virus infection. Travelers to endemic areas should take appropriate precautions including wearing long sleeves, bug repellent, mosquito nets, and avoiding areas with large concentrations of mosquitos (standing water, swamps, etc.). The patient’s platelet count reached a nadir of 39,000 and then recovered. She developed mild peripheral edema that gradually reabsorbed without intervention. Her symptoms improved and she was discharged home on hospital day 5 without further complications. Jose Grande, A et al. “Tourniquet test for Dengue diagnosis: systematic review and meta-analysis of diagnostic test accuracy.” PLOS Neglected Tropical Diseases. Aug 3 2016. Simmons, C.P. et al. “Dengue.” N Engl J Med 2012; 366:1423-1432. Welcome to the second episode of AEM Education and Training, a podcast collaboration between the Academic Emergency Medicine E&T Journal and Brown Emergency Medicine. Each quarter, we'll give you digital open access to an AEM E&T Article or Article in Press, with an author interview podcast and links to curated supportive educational materials for EM learners and medical educators. Development of a Global Health Milestones Tool for Learners in Emergency Medicine: A Pilot Project. Katherine Douglass, Gabriel Jacquet, et al. AEM Education and Training 2017;1:269-279. Milestones have been a hot topic in medical education, particularly with the implementation of a milestones-based assessment tool across all residencies in emergency medicine. This week we discuss the creation of milestones for emergency medicine learners involved in global medicine. METHODS: A working group involving over a dozen stakeholders used an iterative process to develop milestones for learners based on learning domains created by the Consortium of Universities for Global Health’s Education Committee. CONCLUSIONS: The authors developed a standardized framework for assessing learners in global emergency medicine. Their next steps include disseminating this tool to assess its effectiveness. Battat R, Seidman G, Chadi N et al., Global Health Competencies and Approaches in Medical Education: A Literature Review. BMC Med Educ 2010;10:94. Identifying Interpersonal Global Health Competencies for 21st Century Health Professionals. Annals of Global Health, 81(2):239-247.